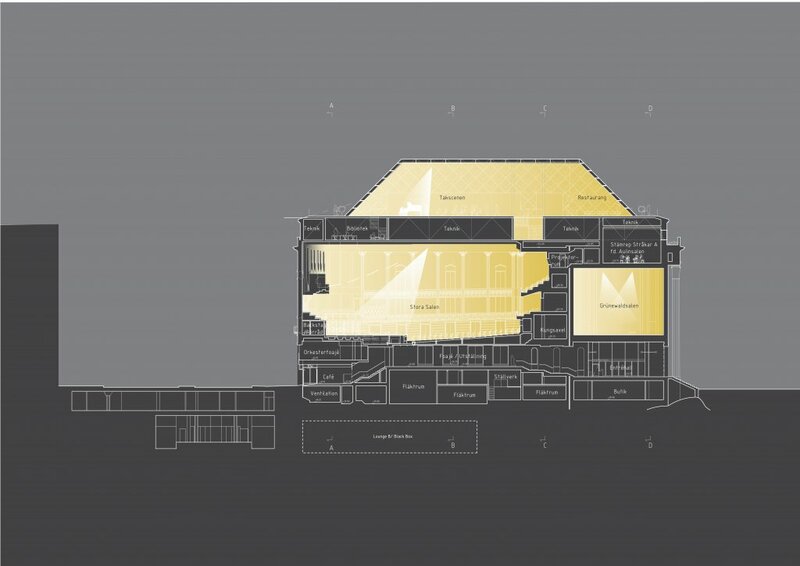 Stockholm Concert Hall – invited competition 2009, 1st prize, unbuilt. One of the most important public buildings of 1920`s Swedish classicism is the iconic Stockholm Concert Hall. The competition to design the extension and renovation aimed both to improve the acoustical performance of the main auditorium and to add a new performance space. A public restaurant and a number of new functional spaces for the orchestra, which are insufficient today, were also included, as well as rehearsal rooms, the green room, offices and new spaces for visiting orchestras. Observing the building’s place in its urban setting shows that each of the four characteristic blue stucco facades are important in the streetscape, while its roof has no significant impact. This supports the idea to avoid an extension in plan, which risks to connect the concert hall to neighbouring buildings and thus affecting and altering the street space. 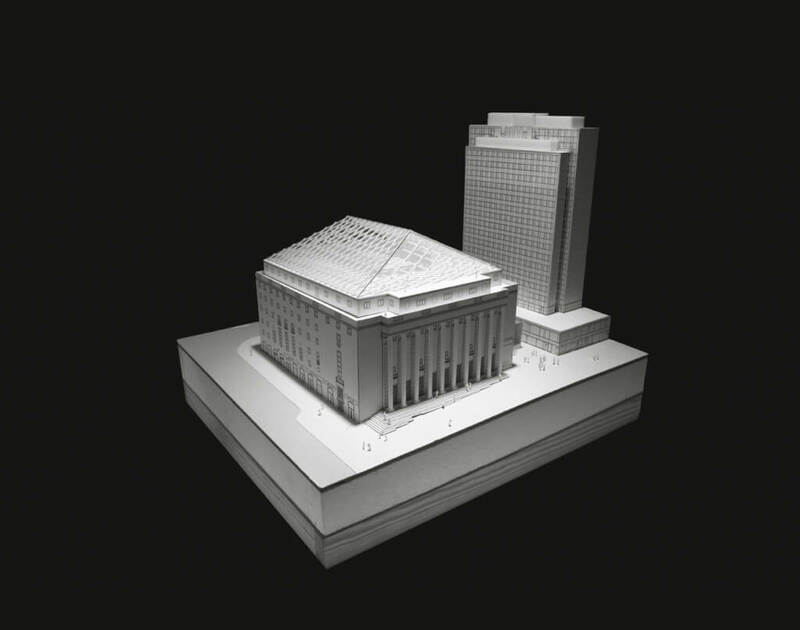 Instead, the scheme proposes an addition to the roof of the present building, maintaining the concert hall’s character as a freestanding and solitary monument within its dense historical context of layered urban development. 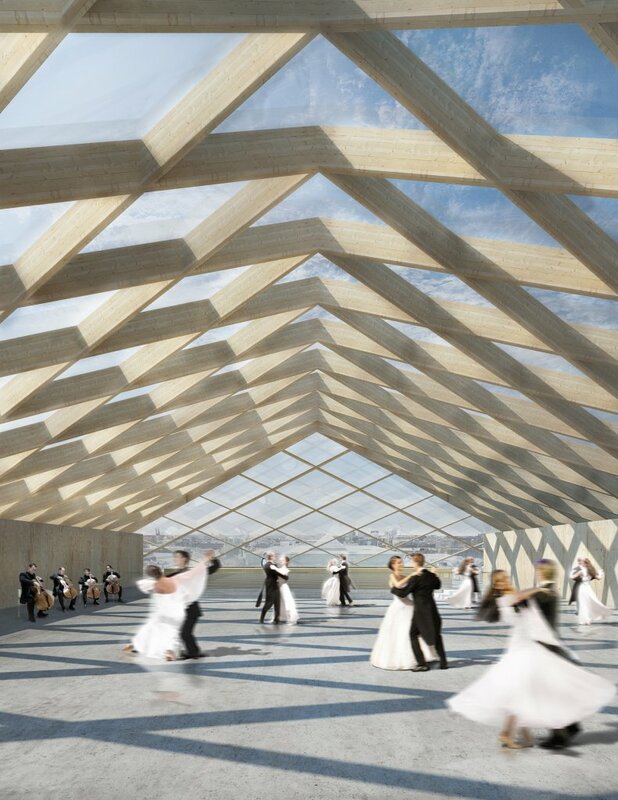 Ivar Tengbom, the architect of the concert hall, described the ceiling of the main auditorium in terms of a kind of heavenly light – an idea that could now be fully realised by providing a space under a glass roof open to the sky. 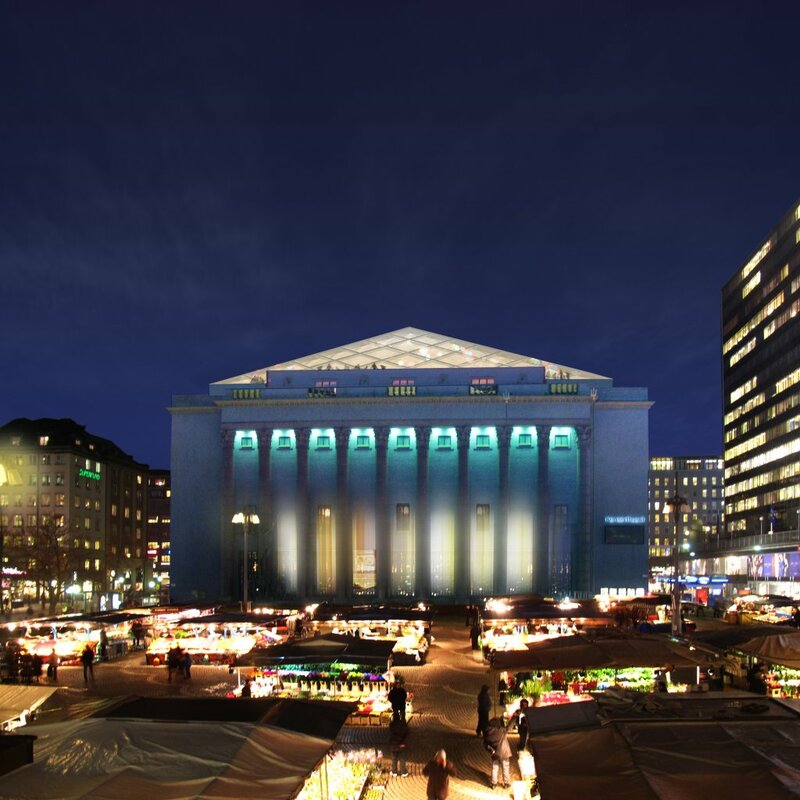 The new stage and restaurant will also enjoy magnificent views of downtown Stockholm from a position hitherto inaccessible to the public, the hidden attic space of the concert hall.